How Do I Check to See the Version My Wondershare PDFelement? 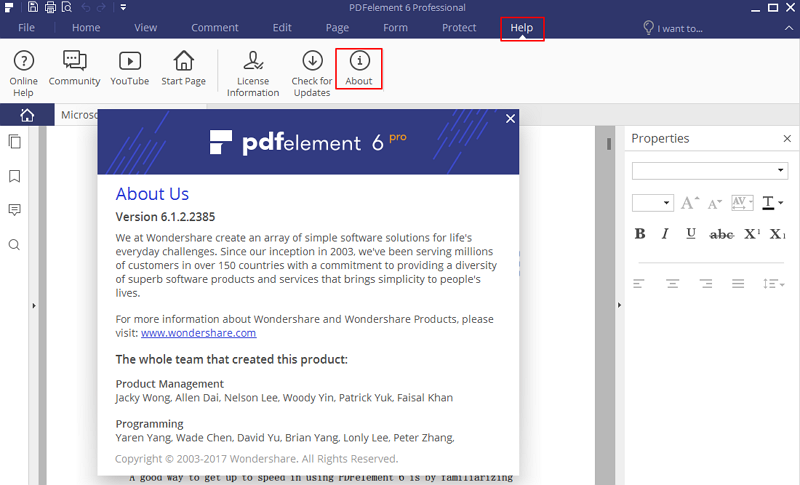 How Do I Check to See What Version of Wondershare PDFelement 6 I Have? Once you have opened the program, click on “HELP”>”About” button and it will open a pop up window to show you the version of your program. What Do I Do If OCR Fails to Work?